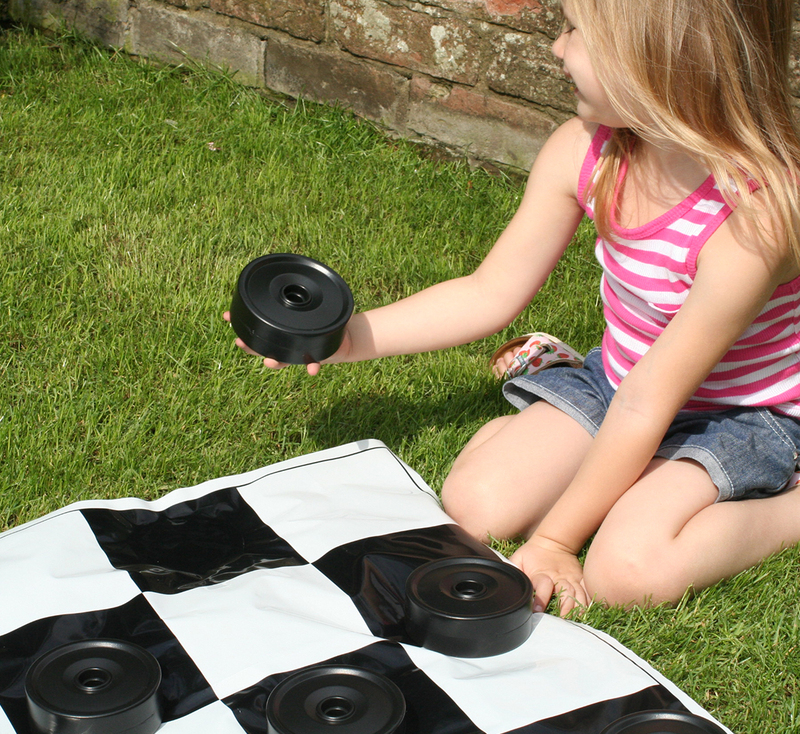 The Garden Games Draughts Set is perfect for both indoor and outdoor use. Pieces are well made using UV treated blow moulded plastic. The game's big enough for the whole family as well as compact enough to take on the move. The set has been upgraded to include a canvas carry bag which allows for effortless transportation and storage. 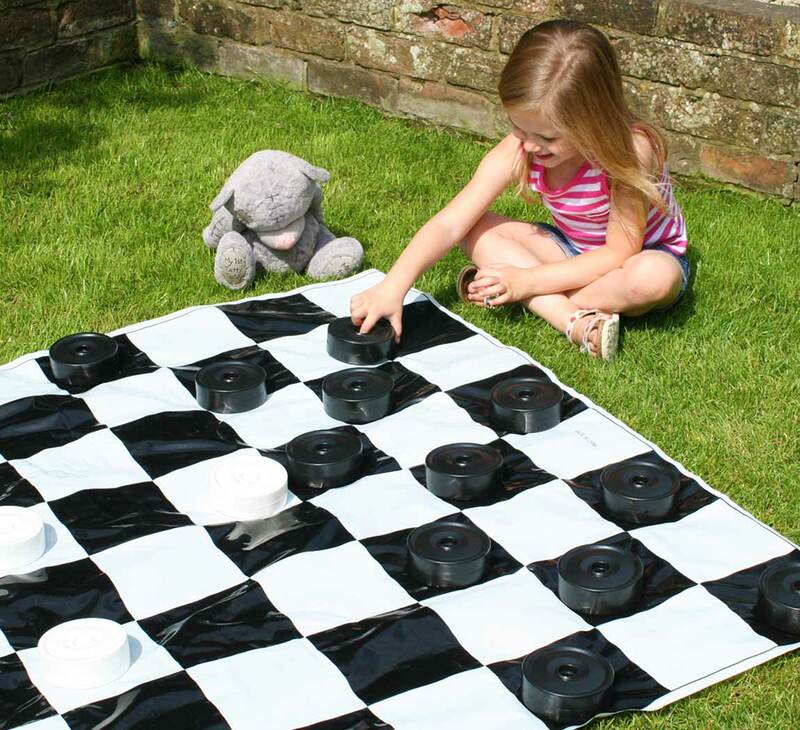 It also includes a strong PVC mat which can be folded up easily. It's the perfect game for BBQ's, parties or a day at the beach. 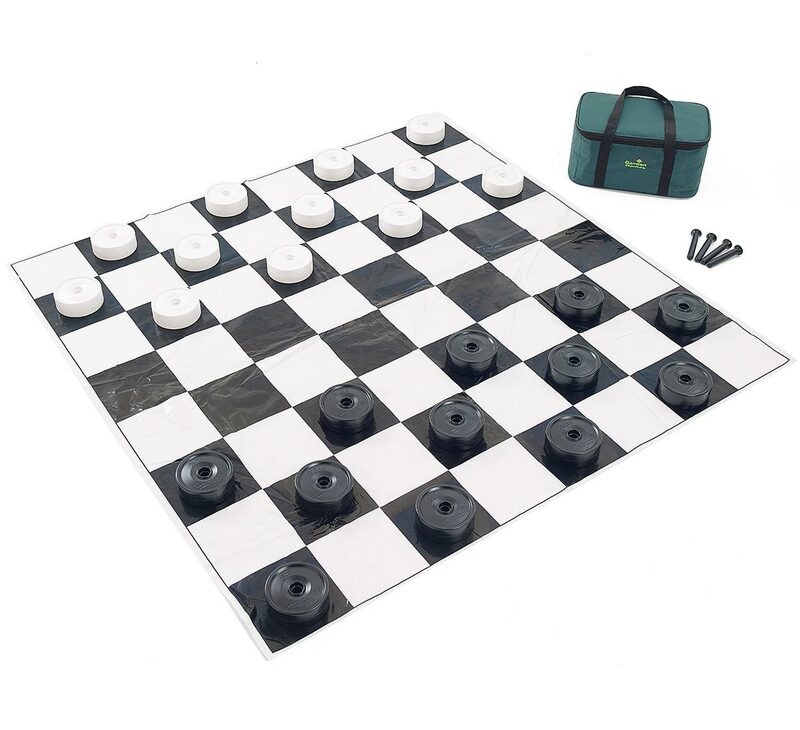 Set includes 6 queening rods for turning your Draughts into Queens once you've reached the other side of the mat. Great fun for all the family, the large pieces are easy to differentiate making it perfect for beginners and young children. The carry bag keeps all parts together which stop them from going astray.